In an attempt to combine English and te reo Māori, Coca-Cola has done something vulnerable. Te reo Māori is the language of New Zealand. 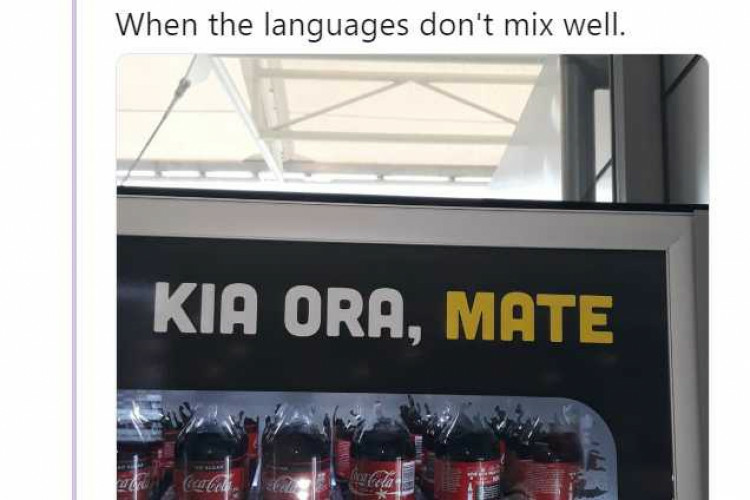 Coca-Cola in a try to use the native language of NZ, wrote ‘Kia ora, Mate’ on it vending machine, which means “Hello, Death”. While in English ‘mate’ means friend, in te reo Māori it means ‘death’. The photo is now making rounds on social media and people are trolling the company.